Lee “Monty” Hall, Advanced Instructor Pilot, joined Aviation Performance Solutions in September of 2017. Prior to this, Lee served for 11 years as Program Manager for the USAF’s Initial Flight Training program in Pueblo, CO., and before that as an Active Duty Air Force officer for 26+ years. Lee began his flying career during college, earning his Private Pilot Certificate. Upon graduation, he entered the USAF, attending undergraduate pilot training (UPT) at Reese AFB, TX. After finishing UPT, Lee was assigned to stay at Reese as a T-37 Instructor Pilot. Finishing as the Top Graduate of his Instructor Pilot Upgrade class, over the next three years Lee would go on to serve as a Check and Evaluator Pilot in the T-37. From there Lee moved on to fly the F-16 Fighting Falcon. Over the next 20+ years, Lee would amass over 2500 hours in the F-16 (including 313 combat hours) serving as an Instructor Pilot, Weapons Officer, Flight Commander, Operations Officer, Squadron Commander, and Operations Group Commander. Lee retired from the Air Force in 2006 as a Colonel. After retiring from the Air Force, Lee went to work for Doss Aviation, serving first as the Deputy Program Manager, then later as the Program Manager for the USAF’s Initial Flight Training Program. In this role, Lee and his team of 200 personnel were contracted to provide initial flight skills to every fledgling Air Force Pilot, Navigator, and Remotely Piloted Aircraft candidate. During Lee’s time at Doss, over 15,000 students graduated from the course. 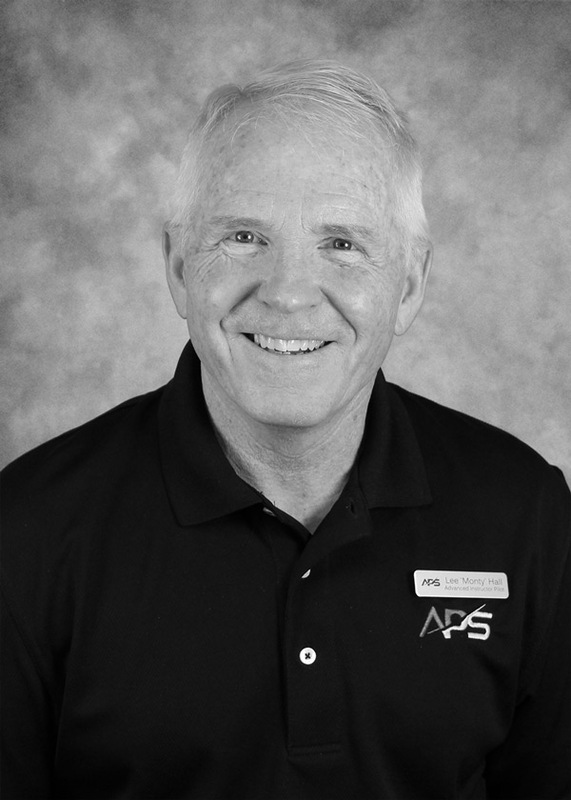 Lee’s primary duties at APS include Upset Prevention and Recovery Training, academic briefings, and adventure flights. Lee is a CFII and has amassed over 6000 hours in the T-37, T-38, F-16, DA-20, Extra 300 and several light GA aircraft. Lee earned his BS from Illinois State University, holds two Masters Degrees, and is a fellow of Harvard’s JFK School of Government. Lee has been married to his wife Kelly for 31 years and they have four adult children. Besides spending time with family, Lee enjoys golf, working out, and serving in his church.